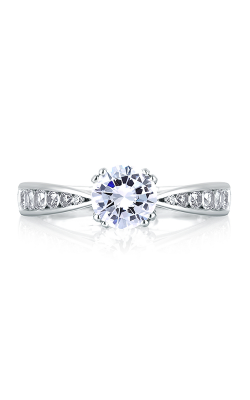 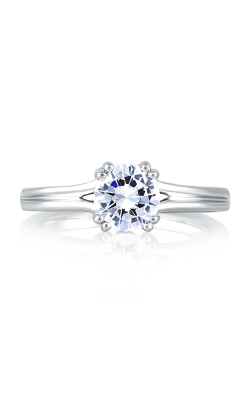 A classic and timeless choice, round cut engagement rings continue to be the most popular pick for fashionable brides today at BENARI JEWELERS. 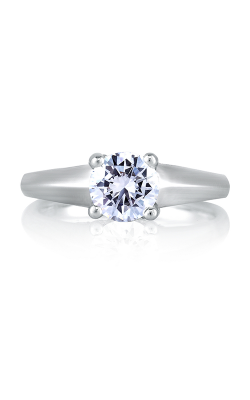 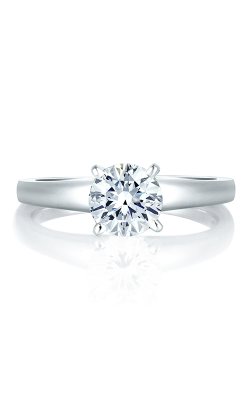 One of the most versatile diamond shapes, designers such as A. Jaffe, Tacori, Simon G, and more have created absolute round cut stunners in an endless array of styles made with only the most gleaming top-quality metals including 18-karat white gold, yellow gold, rose gold and sterling silver. 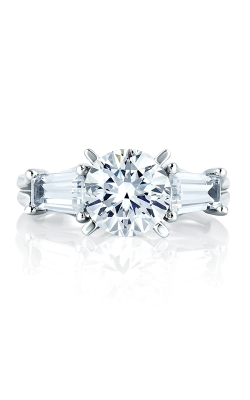 For bold and beautiful diamond-covered halo, solitaire, sidestone, or three stone round cut engagement rings, the Exton and Newtown Square showrooms of BENARI JEWELERS has many options for all brides to choose from. 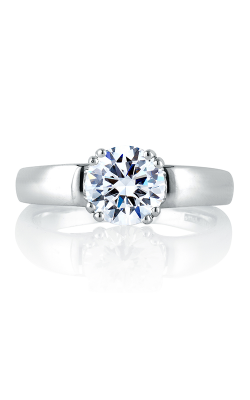 As the Delaware Valley and Philadelphia area’s leading source for exceptional bridal jewelry prices, selection, and quality, BENARI JEWELERS is thrilled to extend a massive assortment of top-quality round cut engagement rings today. 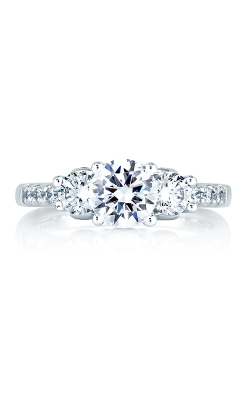 In both their Exton and Newtown Square showrooms, couples can select from Hearts on Fire’s HOF, Destiny, and Euphoria collections – all of which feature only “the world’s most perfectly cut diamonds” – and the finely crafted RoyalT, Simply Tacori, and Petite Crescent collections by Tacori. 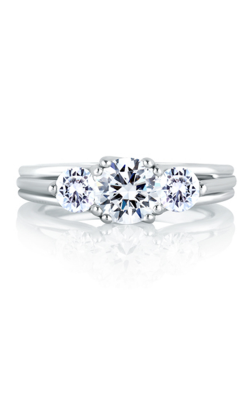 Also, guests to BENARI JEWELERS can explore the wonderful round cut engagement ring selections of Forevermark, Amden Jewelry, and Barkev’s collections. 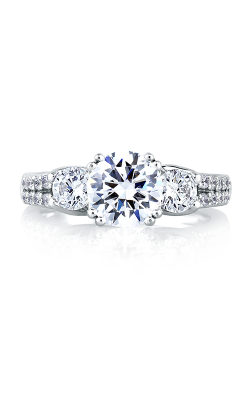 BENARI JEWELERS continues this assortment of diamond covered beauties by presenting round cut engagement rings from Simon G, ArtCarved, and Coast Diamond. 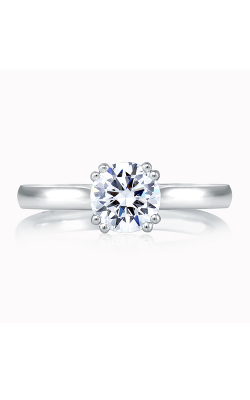 Comprising the Passion, Classic Romance, and Modern Enchantment collections, Simon G’s exquisitely crafted engagement rings are among some of today’s most requested designs. 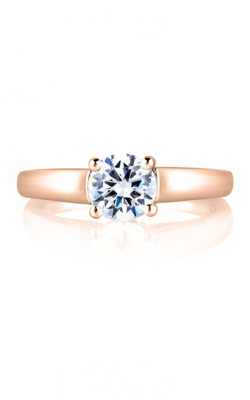 Additionally, renowned for their beautiful and intricate designs, the Contemporary and Classic collections from ArtCarved are a favorite of fashionable brides, as well as are the unique Scotland-inspired rings of MaeVona. Also on display are impressive designs from Henri Daussi, which include round cut rings from their Daussi Brilliant and Daussi Cushion, along with many models from other designers such as Lashbrook, Shy Creation, and Coast Diamond. 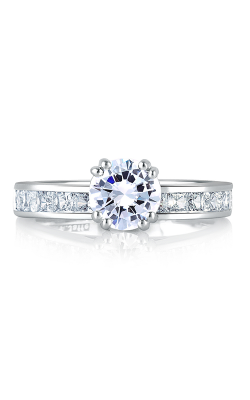 For over 50 years BENARI JEWELERS has serviced the Exton and Newtown Square, Pennsylvania areas with brilliant, diamond adorned engagement rings, wedding bands, timepieces, and fine fashion jewelry. 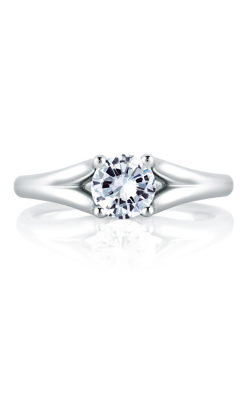 Additionally, BENARI JEWELERS has a large assortment of GIA-certified loose diamonds, along with a team of skilled professionals who are happy to assist with custom jewelry design services. 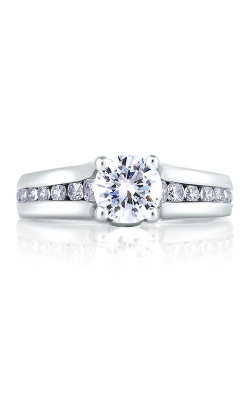 Further, to ensure an eternity of customer satisfaction, BENARI JEWELERS also offers a free lifetime service plan, easy financing options, watch and jewelry repairs, as well as quick and easy diamond, gold, and timepiece buying services.